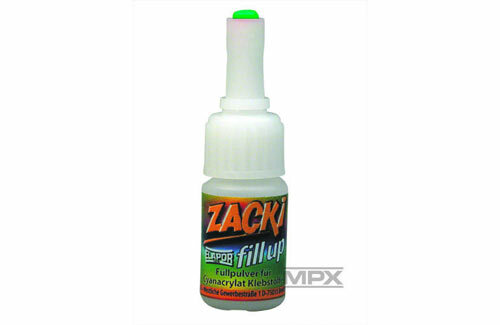 All Products > "592759 Multiplex Zacki Elapor Fill 15G"
Zacki ELAPOR fill up reaction filler has been developed specifically for use with ELAPOR, and in combination with Zacki ELAPOR� super liquid. It makes an excellent gap-filler, especially when dissimilar materials and ill-fitting components have to be joined. 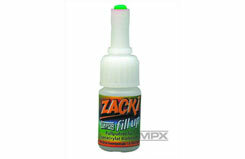 For this reason Zacki ELAPOR fill up is a great help when repairs are called for. Of course, the combination of Zacki ELAPOR fill up and Zacki ELAPOR super liquid also glues other materials to each other and to ELAPOR.